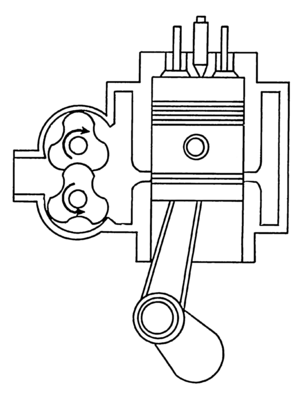 HPOP, or high pressure oil pump(s) , are extremely important for Ford Powerstroke engines. In order for Ford to increase the level of horsepower and work engine capacity in the standard diesel engine, they had to make certain modifications in design, which includes the oil pump. The combustion section of the engine is working overtime in these trucks, and the parts all have to be well lubricated and move freely without major friction overheating the engine. That’s where the HPOP comes in. These pumps push more oil in where it’s needed and a little more often because of the nature of the workhorse engines. HPOP’s tend to wear out a little faster too, and have to be checked regularly to make sure they are not the cause of any fuel inefficiency in the truck. Malfunctions with the HPOP will result in the “check engine” light going on, an overheated engine from not enough oil getting to the camshaft, bearings, and sliding pistons, and a constant need for refills on gas, even though gas isn’t the source of the problem. The HPOP works in overtime when the truck is hauling very heavy loads or pulling loads up a steep incline. This is when drivers tend to gun the engine for all its worth in an attempt to gain traction or forward momentum. The engine’s needs for oil and lubrication increase dramatically during these times, and if the HPOP isn’t working to its fullest capacity the driver can actually wreck the engine. If the problems with the HPOP are bad enough, e.g., leaks, decreased pressure, etc., then you can completely destroy the engine with a single heavy load up an incline. If you have a Ford Powerstroke engine, save yourself a lot of grief and check the HPOP regularly.